The Axicon PC-6515 series is designed for wet and dusty environments and all bar codes where a 10 or 20mil aperture is mandatory (such as UCC/EAN-128 and ITF-14), up to 4.93” (125mm) width including quiet zones. The simple to use design reduces user error and eliminates product damage while providing the highest level of accuracy achievable for verification. The PC-6515 series accuracy makes it an ideal unit for bar code audits. Proprietary software was developed to allow custom ‘User Data’ to be added to quality reports. You choose what data to collect (Typical data: press location, print density, orientation, operator name) and the information is stored in a database and printed on the quality report. 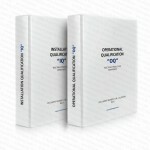 The PC-6515 series meets the International Organization for Standardization’s “Bar Code Print Quality Test Specification” (ISO 15416), the American National Standard Institute’s “Guideline for Bar Code Quality” (ANSI X3.182-1990), the Uniform Code Council (UCC), and the CEN specifications regarding verification methods and methodology. It also meets International Organization for Standardization?s “Bar Code Verifier Conformance Specification” (ISO 15426-1).